Veteran Sports Journalist Godwin Enakhena has commended the Aisha Falode-led Nigerian Women Football League (NWFL) board for the Champions Shield initiative. 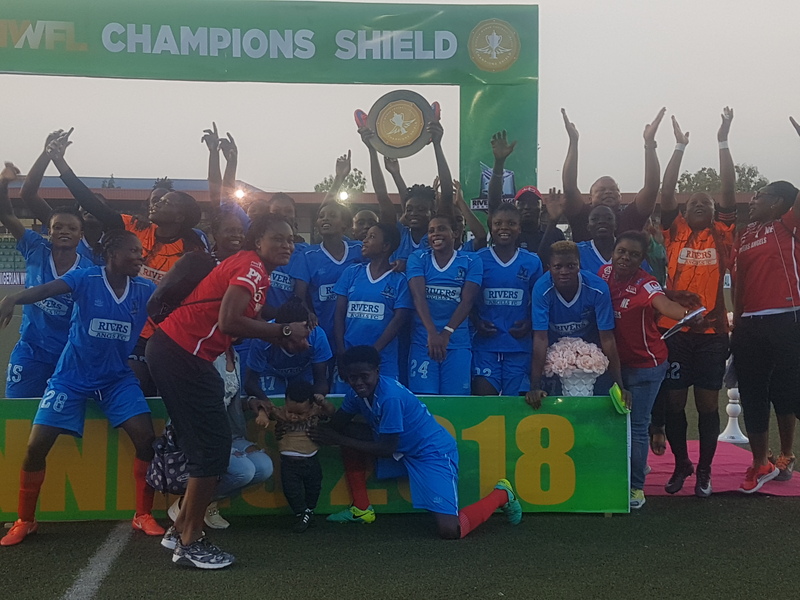 Rivers Angels saw off Nasarawa Amazons on penalties to win the first edition of the NWFL Champions Shield. The Champions Shield is contested between the NWFL winner and the AITEO Women Cup winner. Speaking during the first edition of the Champions Shield held at the Soccer Temple in Agege, Enakhena, who is also a director at MFM, was full of praise for Falode and her board members. “This is the kind of thing that the women have been waiting for. I am proud to be part of it and we can’t wait for greater things to happen.” he concluded.